When asked why he performs comedy, Martin replied: ‘Well, I really like making people laugh. There is no finer feeling of affirmation than a hundred people showing they like you by laughing at your jokes and stories. And laughter has all the ‘good’ medicinal qualities’. 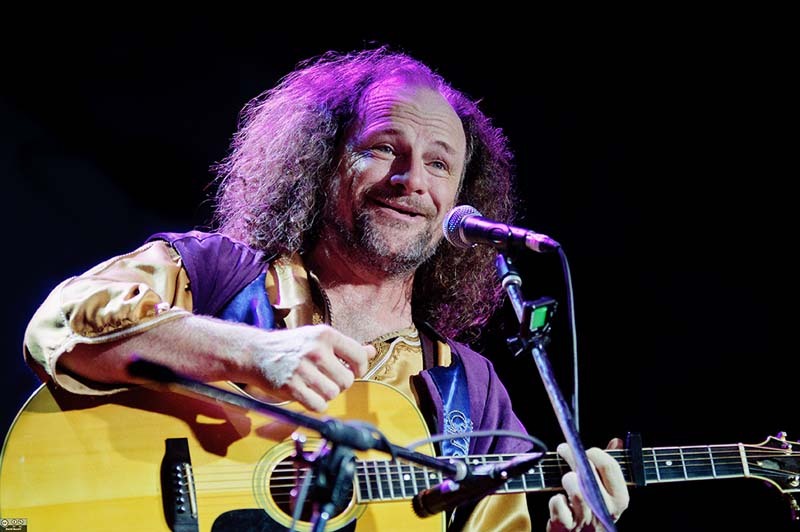 Martin is a troubadour, humourist, wonderful writer – and no stranger to Woodfordians. Martin is our renaissance man, a balladeer, a witty wordsmith, a storyteller, general good guy and a Woodfordian through and through. From his legendary breakfast sessions to his Folklorica fairytales, he’s taken on spots in just about every area of the festival... but we’ve never brought him out at High Noon. In this New Year’s special, Martin hosts some of the artists you’ve gotten to know. Martin Pearson, enchanted by an old book of Norske Folkeeventyr collected in 19th century Norway not long after those of the Brothers Grimm in Germany, has discovered shared elements between the two collections. They are now up for investigation – by Martin.